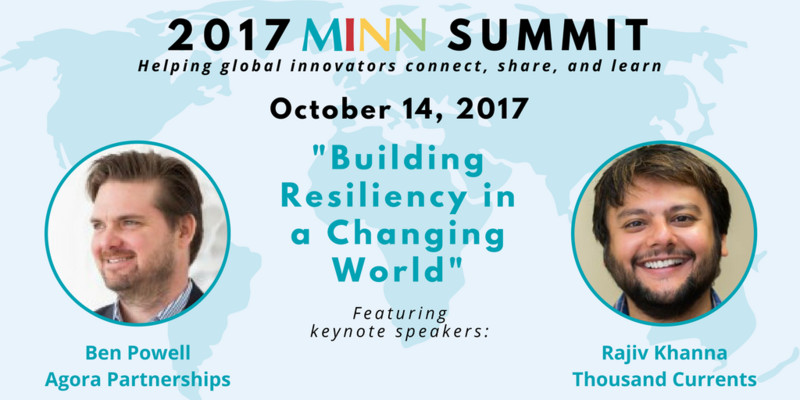 The deadline to register for the 2017 MINN Summit is October 6. Sessions are filling up fast, and you don’t want to miss this year’s event. This year, the MINN Summit will offer an exciting new breakout session format that we hope will maximize opportunities for speakers and attendees to connect, share, and learn. By combining multiple presentations into unique breakout tracks, we believe attendees will be able to take away key insights, frameworks, and tools to help deepen and strengthen the impact they have on the people they serve. Be sure to check out the full lineup of 2017 MINN Summit breakout session tracks.